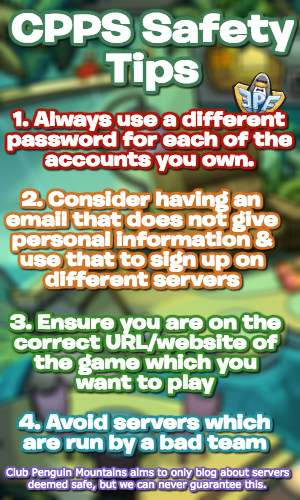 Island Adventure Party: Rockhopper’s Quest (that’s the official name!) 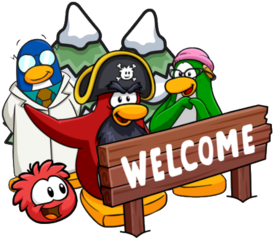 is coming to Club Penguin Rewritten later night, and an exciting piece of information has been revealed! The party will be released later today, but for now, this is the official logo of the party which has been revealed. Arrrrgh, get yer bandanas and telescopes ready as the Island Adventure Party: Rockhopper’s Quest is comin’ to the island later today! Will ye set sail to new lands or even look for buried treasure? I can’t tell ye much, but this be the biggest party that Club Penguin Rewritten ‘as ever ‘ad! Which team will ye be on? #TeamPirate or #TeamCaptain? You may be wondering if the Team Pirate or Team Captain options will actually be present, or if it’s just an unofficial thing. However, the team have confirmed that there are are actually going to be teams at this party! This sounds awesome, and I’ve not been more excited for a party in a long while! As for where it is right now, please be aware that there are no specific times for updates, so it could be coming at any point until midnight PST. It isn’t delayed, but it will hopefully be out in a few hours! Not sure why they give us specific dates if they are going to make many of us wait for hours on end. I think it would be better if they put the event dates one day ahead of when they plan to do them. Rip, its already 4:07 AM Eastern Time and still nothing. Oh well. Yeah, it’s been slightly delayed. Should be out soon though – hagrid and stu haven’t even slept yet but have been up all night updating! what do you choose, torres? I’m not sure yet. I’m wondering what there’s going to be for each side or what the difference will be – perhaps a different outfit for each team?